This week’s packed podcast has reviews for “Don’t Worry He Won’t Get Far On Foot”, “Eighth Grade”, “Skyscraper”, Unfriended: Dark Web”, and “Jurassic Dead”. Joining me on this adventure is the one and only Jed! The first two movies reviewed on this episode were part of the 2018 Seattle International Film Festival, which were the biopic about John Callahan “Don’t Worry He Won’t Get Far On Foot”, and the coming-of-age tale from Bo Burnham “Eighth Grade”. From there we transition to the action packed spectacle “Skyscraper”, the tense horror of “Unfriended: Dark Web”. Finally, for now good reason what-so-ever, we watched the abomination known as “Jurassic Dead”. Make sure to check out the YouTube channel for two new episodes this week! The first is my conversation with creator/ writer Pornsak Pichetshote and artist Aaron Campbell from their new comic series “Infidel”. Then on Friday there will be an episode with director Bo Burnham and actress Elsie Fisher from the new film “Eighth Grade”. 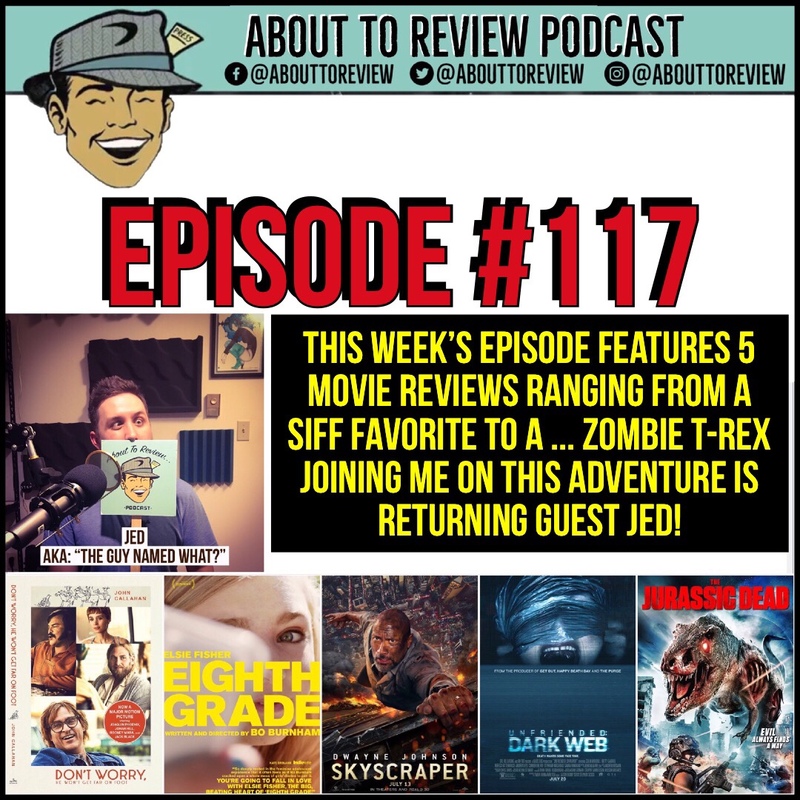 Thank you to Jed for being my support network while watching so many weird and borderline terrible movies this week!